PJs and popcorn is a luxury, spacious guesthouse in Robertson. 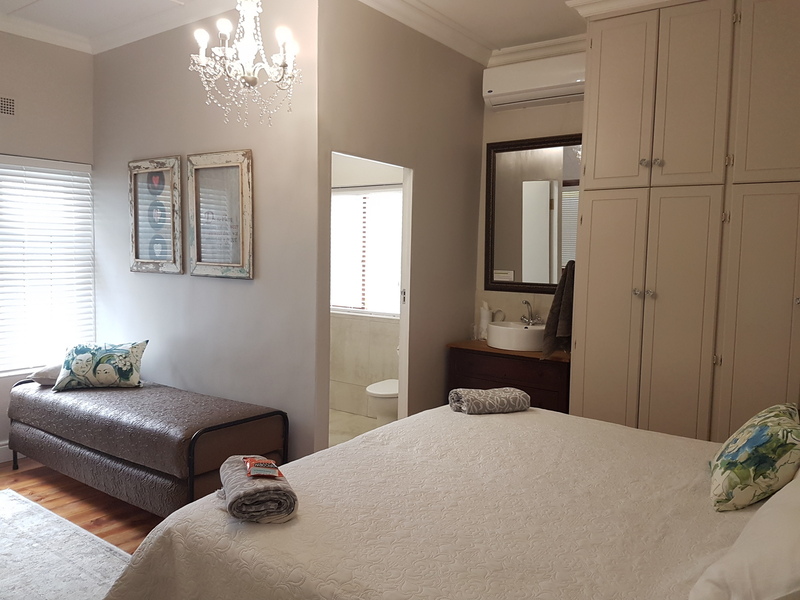 It is situated in a quiet cul de sac surrounded with beautiful trees. 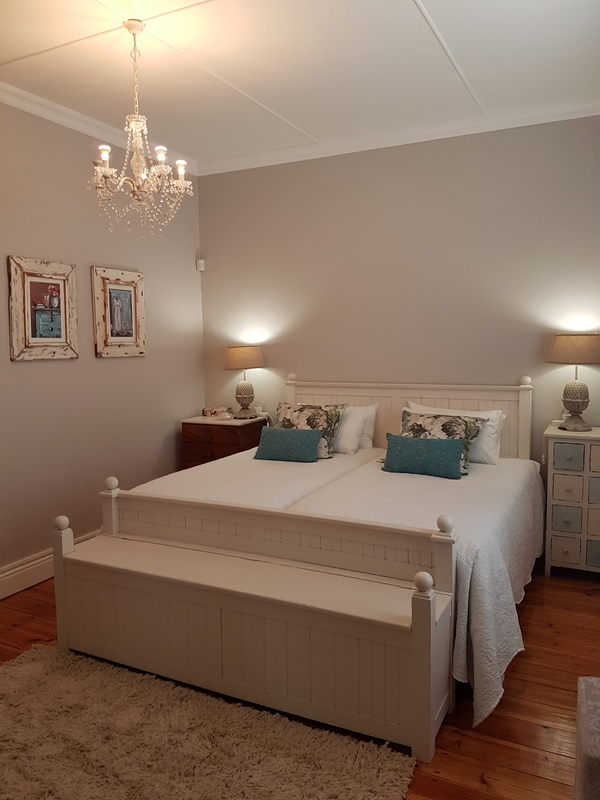 The guesthouse is within walking distance of various shops and businesses. 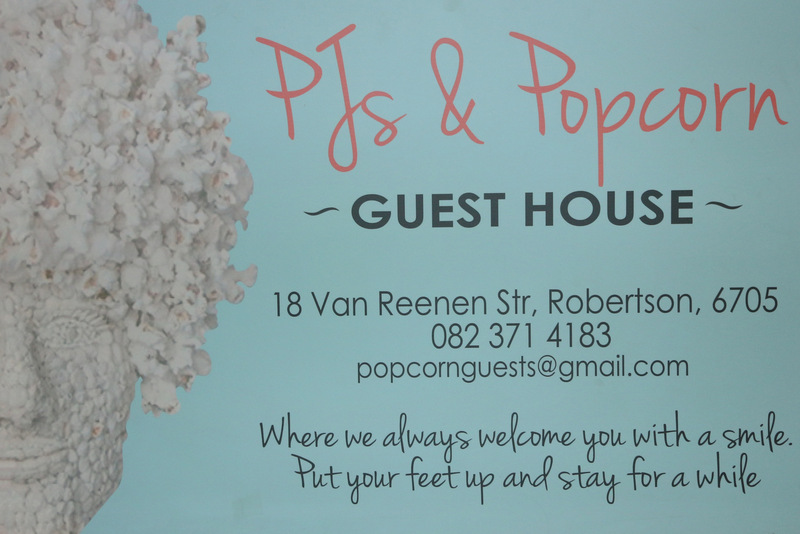 PJs and popcorn consists of three elegant guest rooms (each with their ouw private bathroom and entrance) plus parking behind locked gates. 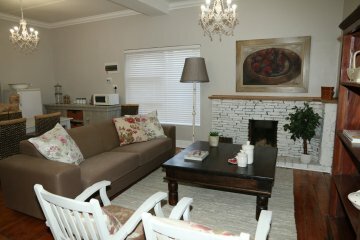 Each air-conditioned room has a flat screen TV with a full DSTV package and free WiFi. 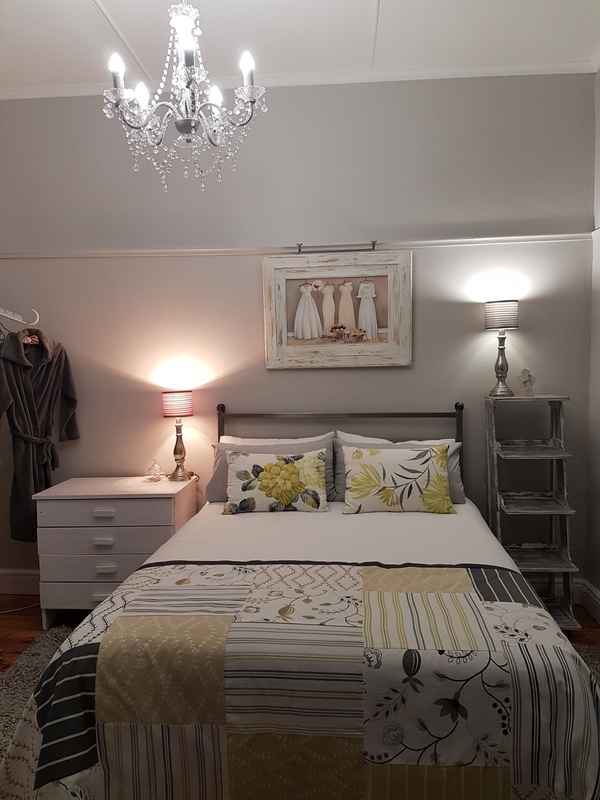 Fresh linen, towels and toiletries are provided. 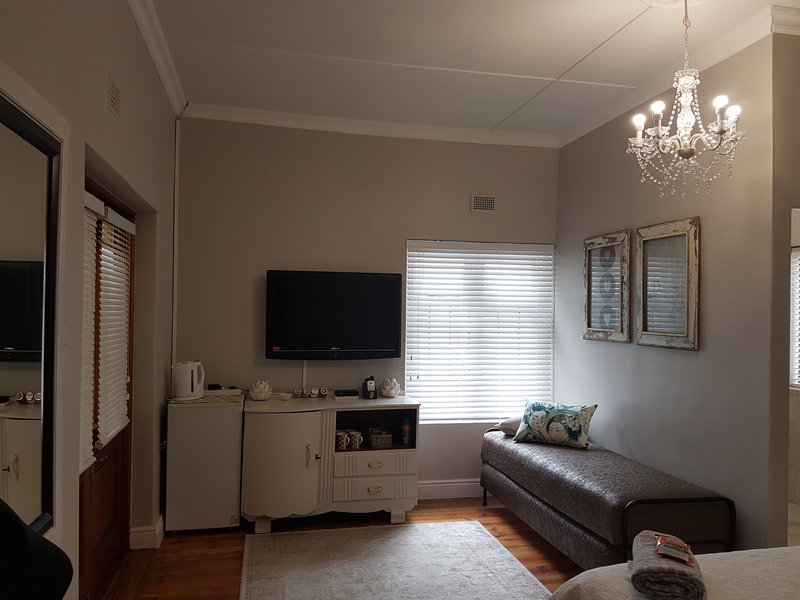 Although breakfast is nt provided, complimentary fresh baked rusks and coffee/tea are available in a communal living area with a mini kithenette.